Dr Charlotte Ingram started as Medical Director of the SABMR in April 2016. 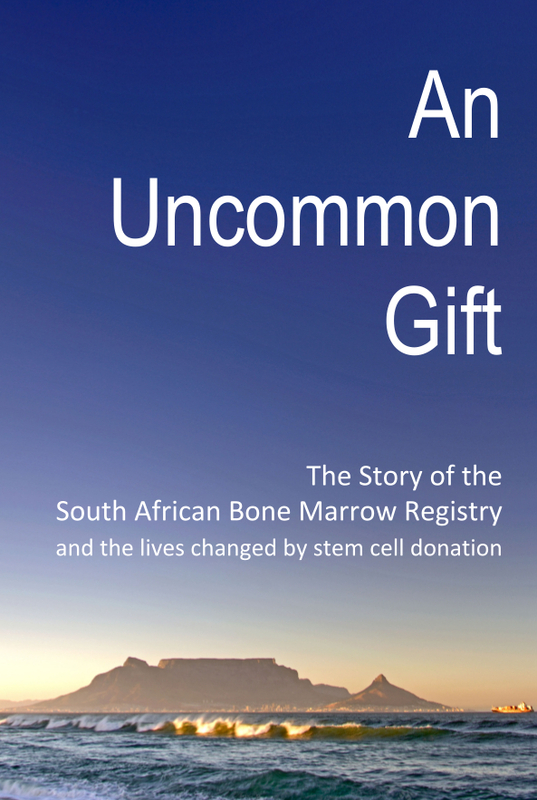 CAPE TOWN – Dr Charlotte Ingram began as Medical Director of the South African Bone Marrow Registry (SABMR) in April 2016, following the retirement of SABMR co-founder Professor Ernette du Toit. A haematologist, Dr Ingram served as Medical Director of the South African National Blood Transfusion Service (SANBS) for five years prior to this appointment. Dr Ingram praises the organisation’s achievements: “The SABMR is currently performing very well. Professor du Toit built the registry to where it is, and we would like to develop it further.” Although small compared with registries in Germany and the USA, the SABMR contributes significantly to the world database of stem cell donors in terms of phenotype, ranking in the top three for the relative percentage of unique HLA split phenotypes of stem cell donors. Yet its growth would bring widespread benefits: “If we had more registered donors, we would be able to help save not only more lives locally, but help more people around the world,” she says. Dr Ingram, who describes tissue typing as one of her passions, has served on the boards of both the SANBS and the South African Tissue Banking Association (SATiBA), a group that compiled standards for stem cells, and is a member of the SANBS HREC (Human Research and Ethics) committee. She spent 5 years managing HLA typing laboratories and has more than 10 years’ experience in the cryopreservation of peripheral stem and mononuclear cells. She was CEO for the clinical trial laboratory division of the Wits Health Consortium, a division of the University of Witwatersrand, and previously headed up a molecular diagnostics unit for a business initiative for the sub Saharan African region. Her interest in grant-funded projects – helping laboratories around Africa become accredited and train staff – has taken her to Rwanda, Kenya, Ghana and Gabon, among other countries. Dr Ingram’s qualifications include both a laboratory (haematopathology) and a clinical haematology sub-specialty FCPath Haem (CMSA) MMed (Haem) Wits. In addition she has a MBA from Wits Business School. For many years she was actively involved in HIV research and management of HIV disease and anaemia in the antenatal units of the Johannesburg hospital complex, including Chris Hani Baragwanath Hospital. Her involvement with the REDS III study in South Africa started in July 2011, initially on the working group for the obstetric haemorrhage study. Dr Ingram was the project director and in country principal investigator (PI) for the REDS III SANBS study until she left the SANBS when she handed this role over to Dr Ute Jentsch. Since 2013, she was also the principal investigator for the SANBS CDC /PEPFAR blood safety and strengthening health systems programme for SANBS in South Africa. 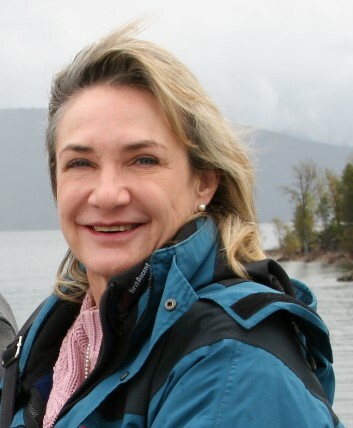 Applying her years of business experience to the running of this non-profit organisation, Dr Ingram plans to increase and continue to upskill staff, implement more management systems, and find alternative sources of revenue for financial sustainability and build and maintain key relationships with stakeholders. Externally, she aims to raise public awareness of the service the SABMR provides and its need for support, both financially and in terms of donor registration, and to increase the ethnic diversity of the donor pool. Dr Ingram would like to see the donor base in South Africa increase to at least 100,000 from the current 71,971. ‘The very high genetic diversity in South Africa makes it difficult to source a donor from some of the less diverse phenotypic registries, hence making it important for South Africa to increase our own donor base and to make it more representative of the South African population by increasing black donors.’ she says. Although the SABMR has grown its black donor database during the past year from 6% to 7.5% – with black donors comprising 5,379 of the total (figures from first quarter 2016 statistics), we should aim to achieve a 10% black donor pool, then to increase this figure steadily through publicity campaigns and registration drives in association with The Sunflower Fund, which recruits bone marrow donors nationwide. Many members of the public remain unaware that, owing to medical advances, bone marrow donation no longer needs to involve a general anaesthetic and stem cell extraction from the bones: today, the donor is linked to a machine with an intravenous line for approximately 6 hours and the stem cells are filtered out of his or her blood. In time, newer technology such as cheek swabs will make donor registration simpler too, Dr Ingram reports. “The SABMR can make a difference to people’s lives, to children’s lives. In this position I can give back,” says Dr Ingram, who recently moved from Johannesburg to Cape Town with her husband, an entrepreneur, and their two Bouviers. In her free time she enjoys being in the bush and nature trips, “camel” riding, cycling and visiting the Cape wine estates. Based at Groote Schuur Hospital, the SABMR is Africa’s only bone marrow registry supporting an active transplant programme. Only a minority of patients needing a bone marrow transplant will find a matching donor in their family. For over 70% of patients, their only hope is to find a donor identified by the SABMR. However, the chance of finding a compatible unrelated donor is approximately one in 100,000. To increase chances of finding a match for local patients, the SABMR partners with 75 other international registries.